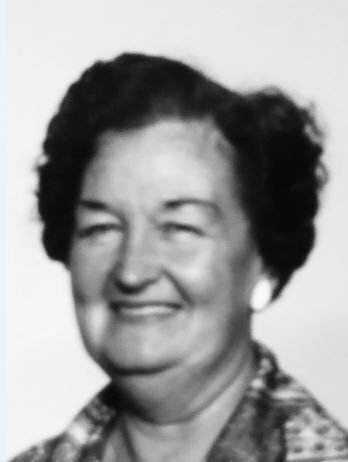 Harriette E. Yoho, born on February 6, 1923, passed away at her residence in Sonoma on December 5, 2018. She is survived by her daughter, Harriette Minear, her son Joseph E. Yoho, granddaughters Kimberley Bowlby-Runyeon and Holly Yoho and great granddaughter, Heather Keola. She was predeceased by her husband of 59 years, Joseph M. Yoho. Harriette was born in San Francisco, a long-time resident of Napa and her family were present in the Napa and Calistoga areas as pioneers. A Napa High School graduate, she worked as a teacher’s assistant in the Napa School District. Harriette was active in the American Legion and Napa County 4-H, where she was the first female All Star. She and her husband Joseph were 4-H leaders for over 25 years. There will be no memorial service, but donations in her name to Napa County 4-H or Hospice by the Bay are welcomed.